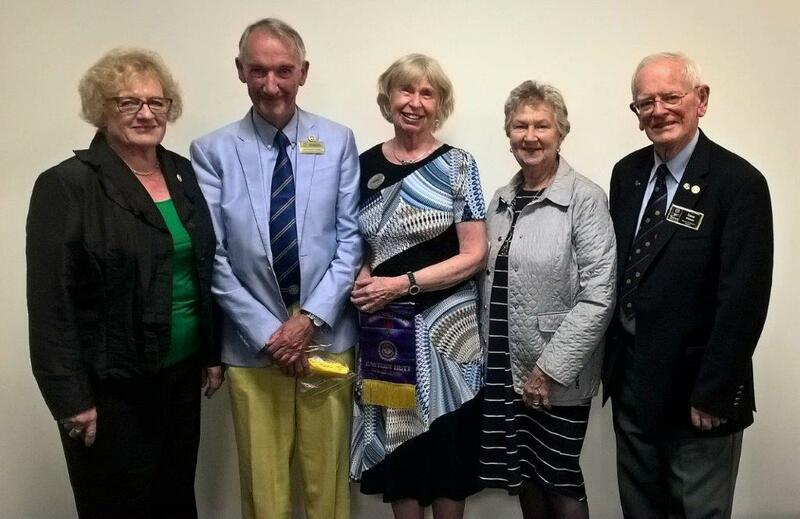 A fellow Rotarian with Hutt Valley Rotary, Carl gave a very informative talk about his family's business interest in recycling plastic. To diversify and expand their local business Metal Art, they started a business relationship with an Australia business Replas. 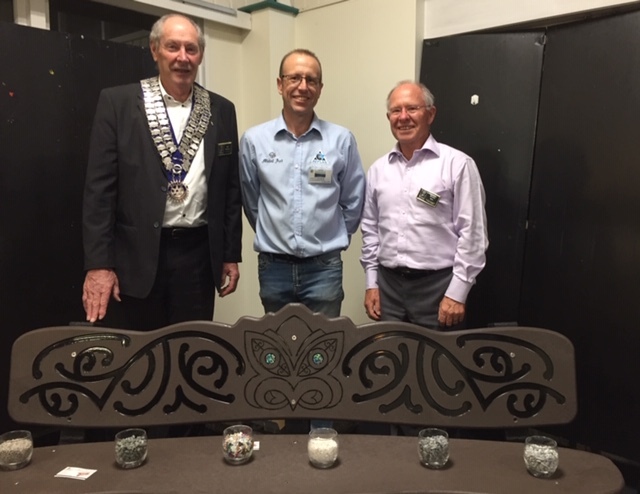 As a result of this relationship, their business is now supplying and installing very strong and durable street and park furniture to Local Councils and ommunities around New Zealand. In the photo above, this is an example of what they can make out of recycled plastic - this chair weighed 84kgs and consisted of recycled plastic bags. Interestingly, one figure he mentioned was there are approximately 4,600,000 plastic bags used in just 1 day in New Zealand! Also, there are 1,800 plastic bags in just one of their small 2-person benches they have manufactured. Much more education is needed to deal with the incredible pollution plastic is doing to our country - Carl and Metal Art are certainly a difference! 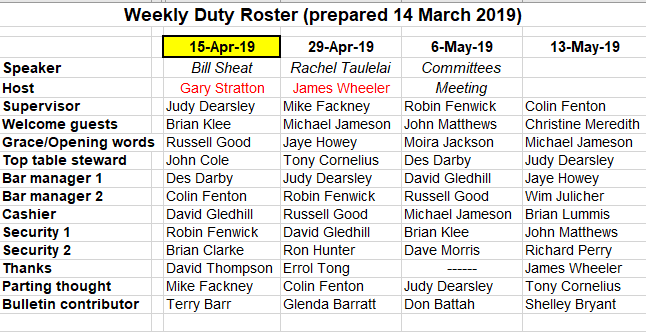 * President's Update: Board Report for April is HERE. * Pink Ribbon Breakfast - Tuesday 14th May: Support Shelley with her Committee's great cause - details HERE.